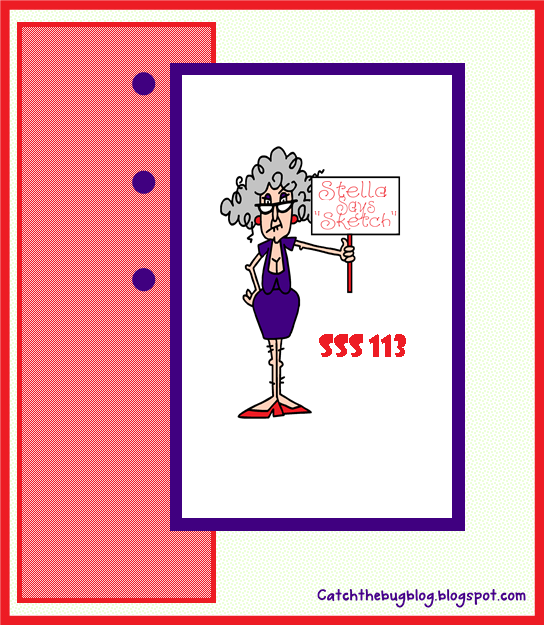 It's another episode of Stella Says Sketch here at The Bug Blog. What's she got cookin' this week?? Well - here it is. Like these projects? Want the chance to win some SERIOUS Bugaboo digis? Well play along and YOU might be one of our WINNERS! All of the images the team used above can be found at The Bugaboo Stamps Store, and lots more other great images! The rules are simple: Create a Project based on Stella's Sketch above and post a link to it on Bugaboo Stamps' challenge blog, Catch the Bug, by 7/1/12 at 6:00 AM EST to be entered a random drawing for THREE digi prize packs – TEN (10) (using a Bugaboo image only), SEVEN (7), or FOUR (4) using any image. LOVE the DT projects!! I had a lot of fun with this challenge! !